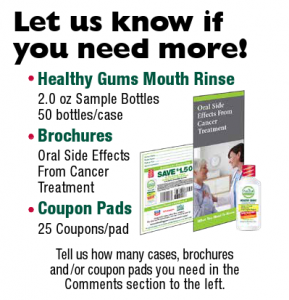 Contact us today to order patient samples, brochures and coupon pads for your office. Complete the form below and indicate in the comments section how many of each item you would like to receive. This order form is for oncology professionals only. 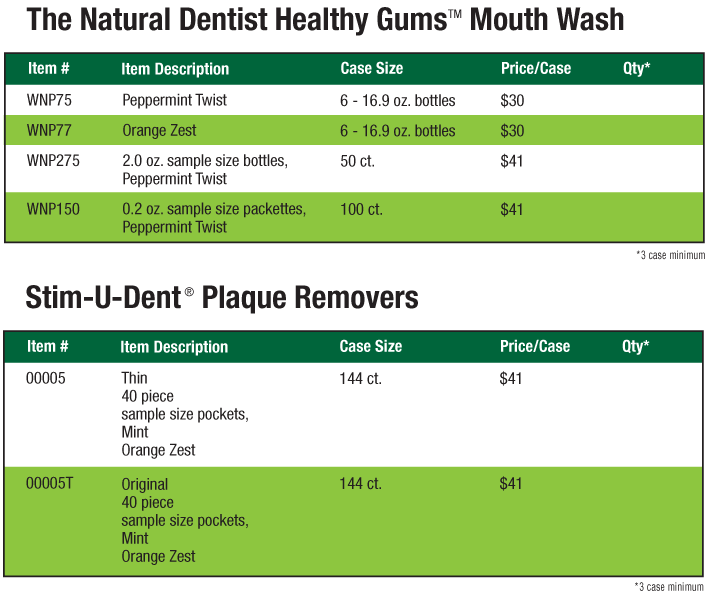 If you are not an oncology professional, click here to see where you can buy The Natural Dentist.